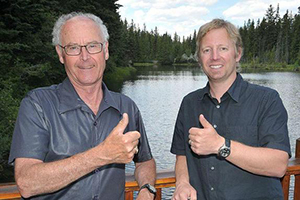 Our professional Real Estate Team in the Bow Valley, comprised of Jordy Shepherd, Jim Ridley are proud to celebrate their Third year of partnership committed to meeting your needs; be it gathering marketplace information, helping you make best decisions on timing and Buy/Sell options, and most important, following up in a timely manner on what we agree to do for you. Our strong and unique partnership enables us to provide 7 day a week service to our combined Client base, with two Realtors sourcing of opportunities for you. Our proven record of tackling challenges along your special Real Estate Transaction journey, often behind the scenes, eases you through whatever housing transitions you embark on. Let us “Guide you Home and Beyond”.